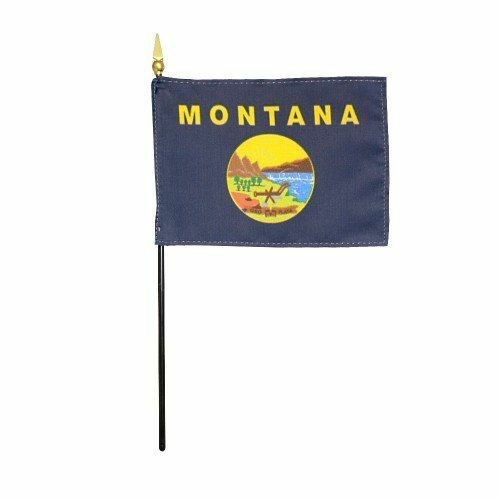 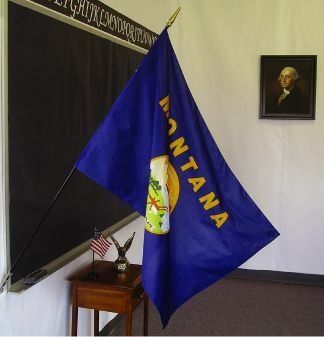 AmericanFlags.com is proud to carry Montana State Flags in a variety of materials, and styles, in sizes ranging from 4 IN X 6 IN to 12 FT X 18 FT. All of our Montana flags meet official specifications, are on sale right now and are ready for immediate shipping to your door. 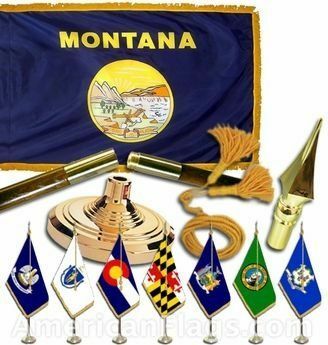 Montana's picturesque scenery and the pioneering history of the state are illustrated on the State Seal which appears on the Montana State Flag. 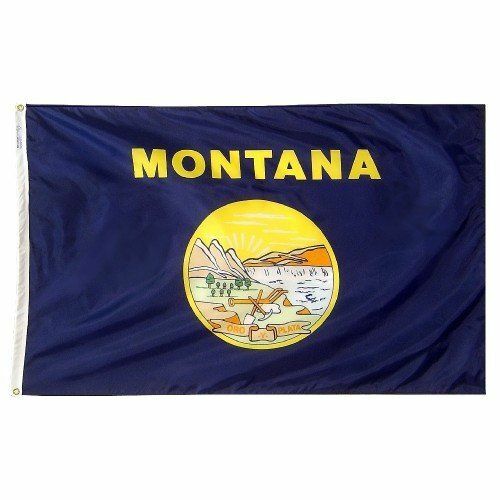 Images of the Great Falls of the Missouri River, the brilliant sun shining over the mountains and forest provide the backdrop for a plow, shovel and pick, which are symbolic of farming and mining in Montana. 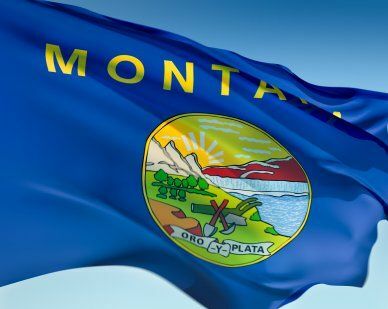 "Oro y plata," is the state's motto, which translates from Spanish to, "gold and silver."